Maranatha provides a nice close to Chip Johannessen’s four scripts for the first season of Millennium. At its core, Maranatha is a story about stories. It is a tale about mythmaking and storytelling. It is about a monstrous man who seeks to transform himself into a creature of legend, brutally slaughtering innocent people in order to feed the idea that he is something much more than a corrupt political official. As such, the story sits quite comfortably alongside Johannessen’s other three scripts for the season, each of which is about storytelling or mythmaking in some form or another. In Blood Relatives, James Dickerson attends the funerals of people he never knew, pretending to have been a part of the lives of the recently deceased; he tells stories and memories that never happened. In Force Majeure, Frank Black encounters a radical group of people who believe in the story of the end times; whether true or false, this story provides meaning to the life of the otherwise lost Dennis Hoffman. In Walkabout, Frank Black tries to piece together his recent history, constructing a narrative to account for out-of-character behaviour. Maranatha serves as something of a culmination of this approach to Millennium. It the story of a sadist who seeks to elevate himself to the status of legend, dictating and shaping his own narrative through fear and manipulation. As with Force Majeure, Maranatha deals with big ideas about biblical prophecy and the end of days. Like Force Majeure, Marantha does not engage directly with the credibility of these stories. Unlike the mind-bending cards-down spectacle of Lamentation or Powers, Principalities, Thrones and Dominions, it seems that Maranatha stresses the idea that belief and faith must be subjective experiences. After all, if something can be proven, it is no longer faith. “Do you believe that?” Peter asks Frank repeatedly over the course of the episode, like a slightly less worried version of Scully. After all, Frank has started suggesting outlandish theories, but he has yet to start drilling holes in his head. The first time that Peter broaches the topic, Frank replies, “Doesn’t matter what I believe. They believe it.” Stories and narratives are constructed around facts, weaving through proven and demonstrable events to create tales that bestow meaning and purpose. The events in Maranatha are spectacular, so the story connecting them must also be. The killer seems to be a master of narrative. When Yura finally tracks him down and prepares to brutally murder him in his hospital bed, the killer appeals to Yura’s understanding of the narrative built up around Yaponchik. “You cannot do this,” he advises Yura. “You are not the one.” Yura’s role in this story is not the role of executioner; the killer argues that Yura cannot act outside his function. As much as the killer has used mythology to build himself up, he also uses it to box Yura in. “Yaponchik” is a catch-all monster. When Frank presses him about the name, Yura responds, “Who’s Dracula? Who’s Frankenstein? He’s the Russian Bogeyman.” Yaponchik is a demon, much like those Frank has faced recently. However, Yaponchik may exist primarily in the minds of men; a demonic presence manipulated to serve the needs of a very real murderer. Interestingly, Chip Johannessen drew from the real world in crafting the sinister criminal Yaponchik. The name belonged to a significant (and mysterious) member of the Russian mob in the mid-nineties. Vyacheslav Ivankov, nicknamed Yaponchik (“Little Japanese”), was, from shortly after his arrival in the United States in 1992 until his arrest by the FBI in 1995, a mysterious and even mythical figure. The speculations tossed around about him created an image of a man who was called “the father of extortion” and the Soviet Union’s “most influential vor.” He was the “leading crime boss of the Russian Far East” and was reported in the largest Russian language newspaper in New York City to be the “Red godfather” sent to New York by his fellow vory to organize and control Russian criminal activities there. U.S. authorities, especially the Federal Bureau of Investigation, certainly seemed to believe and acted as if Ivankov were a major crime boss. Ultimately, the real-life Vyacheslav Ivankov turned out to be just a man, but the mysterious figure proves more appealing to Chip Johannessen’s script. This broaches the issue of Maranatha‘s setting. It is a story set largely within the Russian immigrant community. The end of the Cold War seems to have been on Chris Carter’s mind between 1996 and 1997. 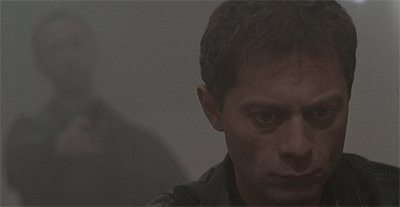 The X-Files sent Mulder to Russia for the first big two-parter of the season, Tunguska and Terma. Even beyond that, the show sent Scully to investigate Russian gangsters in Never Again. This isn’t even the first time Frank has encountered the Russian community; the show’s second episode, Gehenna, was set among young Eastern European immigrants. Maranatha is based in Brighton Beach, New York. The area developed a substantial Russian population during the nineties, as immigration from the former Soviet republics dramatically increased. “A hundred and fifty thousand people leave Russia and come to Brighton Beach,” Lieutenant McCormick observes. “Reminds them of Odessa.” As with the other episodes touching on America’s rapidly increasing Russian population, Maranatha seems curious about what the end of communism means for Russia. Another point of East-West misunderstanding concerns widespread eastern European use of the term mafia. Labelling some individuals and groups in the region as mafia has become common practice. Throughout the region, the allegation of being mafia can be heard in reference to a wide variety of groups and activities, from officials who accept bribes and former nomenklatura (communist) managers who acquired state factories at firesale prices to common street criminals and ex-convicts with their own armed police forces. As I have observed in fieldwork in Poland and Russia, mafia also can have an ethnic dimension; for example, Poles talk of Russian mafia and Russians of Chechnyan mafia. One ethnic group accuses another of being mafia. Nevertheless, the increase in Russian immigration into the United States during the nineties lead to some sensationalist coverage of the community. 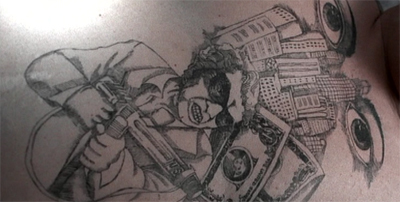 The Russian gangster promptly became a pop culture stereotype. 1994 saw the release of Little Odessa, a Russian mob film starring Tim Roth and Edward Furlong. In 1997, David Ogden Stiers was playing a Russian mobster in Disney’s Jungle 2 Jungle. The following year, Rounders was released. In reality, most of the information that these residents of Brighton Beach had about crime in general, and organised crime in particular, came from a combination of personal observation, media reports, conversations with people they knew, and other indirect sources. As a student put it, “Every time I go to a Russian supermarket or restaurant, I hear people talking about the mafia.” It was often difficult for them to identify where a particular piece of information or an impression had come from. Since even information from people they know may have originated with a media report, this is hardly surprising. When a story – such as those about Rasputin and other restaurants or a murder for hire – is particularly dramatic, it takes on a life of its own with information and interpretation coming from a variety of sources. As prominent as the Russian mob became in mid-nineties pop culture, it seems reasonable to suggest that its reach was somewhat exaggerated by a somewhat sensationalist media. Russians still make convincing bad guys, even years after the end of the Cold War. It is to the credit of Maranatha that the episode plays with this disconnect. Asked to consult on the murders, Yura deliberately tries to mislead Frank by suggesting that this is the work of the Russian mafia. When Frank asks Yura to identify a distinctive mark, Yura responds, “It’s a mob sign.” This is all just a smokescreen; Yura seems to be very cleverly playing up to the fears surrounding Russian immigration in the United States. He recognises that a Russian mob hit is the kind of story that local law enforcement expects, so he plays into that. There is a very real fear of modern Russia on display in Marantha, a sense that there is no way to be sure what might emerge from the destruction of the Soviet Union. Tunguska and Terma seemed most terrified by the prospect that Russia would simply transform itself into a reflection of the United States; that it would develop its own abusive power structures and cynical attitudes as capitalism ran amok. In a way, those are the fears reflected in the media’s fascination with the Russian mafia and Russia oligarchs. Giving Frank a tour of the neighbourhood, Lieutenant McCormick offers a bunch of crass generalisations about the community, ending on an observation that an aggressively capitalist Russia may not be a good thing. Preparing to introduce Frank to Yura, McCormick remarks, “You know what he makes? Hundred and sixty-seven dollars a month, man. One-six-seven. You think you could stay honest on that?” Capitalism won the Cold War, but that might not be a good thing. The X-Files has repeatedly suggested that it may despairingly agree with Francis Fukuyama that the end of the Cold War represented “the end of history.” It seems that Millennium takes the concept one step further. What if the end of the Cold War meant “the end of the world”? What if the fall of the Berlin Wall unleashed some horrific force upon a world that was increasingly networked and connected? In this era of globalisation, people seem to feel more disconnected than ever. Discussing the first victim, Frank reflects, “A thousand people pass the body and no one picks up the phone.” McCormick responds, deadpan, “Welcome to the global village.” In many respects, Maranatha overlaps thematically with The X-Files. The treatment of the Russian community in Maranatha feels quite similar to the treatment of the Jewish community in Kaddish or the Chinese community in Hell Money. These are all communities that have carved out space from themselves away from the mainstream. In keeping with the rest of the episode, there is a perverse optimism at play here. Although the Russian community stands quite apart from the mainstream, Maranatha suggests that they share some common group. This being Millennium, that common ground is inevitably the idea of an unstoppable and primordial evil, because that is how this show works. Yura and Frank are initially at odds with one another, but they cooperate a lot more readily once Yura explains that he is hunting down the Antichrist. Millennium is awesome, sometimes. After all, any other show would be somewhat patronising in its portrayal of this superstition. “Frank, Russia is crazy now – old superstitions coming back,” Yura teases. “Priests and tea-readers preying on people’s fears better than the communists ever did. See, to a Russian, everything must be magic. I mean, it’s not enough that a man commits these murders – no, it must be ‘Yaponchik walks the Earth.’ Ooo. True evil.” In any other show, that would seem condescending and crass; however, Millennium actually believes in true evil walking the Earth. This brings up another thematic connection back to The X-Files. At its core, Maranatha is an episode about stories and mythologies, so it inevitably connects back to the idea of conspiracy theories. However, while The X-Files accepts conspiracy theories as a fact of life, Millennium filters them through a different lens. In this case, the conspiracy theories are presented as an aspect of a subculture, rather than a logical response to an illogical world. Maranatha observes that there are a number of conspiracy theories surrounding the Chernobyl Disaster. Cleverly, Maranatha avoids having Frank fall prey to the tradition “believer/sceptic” structure associated with these stories on The X-Files. Instead, Frank refuses to confirm or deny whether he believes these theories throughout the episode; all that matters is that some people believe them, and others seek to exploit them. It is a very nice way of allowing Millennium to wander into a narrative space traditionally reserved for The X-Files while retaining its own identity. So, on paper, Maranatha seems like an episode of The X-Files that was produced for the wrong show. Maranatha is the tale of an immigrant community that believes in conspiracy theories are terrorised by a possibly supernatural monster. Millennium was born of episodes like Irresistible and Grotesque, but this is a much more traditional “monster of the week” plot. However, Maranatha finds a way to tell this story and use all these elements while remaining true to Millennium as a television show. In a way, this feels like Maranatha‘s greatest accomplishment, and the culmination of Chip Johannessen’s work across the first season. Johannessen has worked harder than anybody else on staff to give Millennium a unique and distinctive voice; to tell stories that don’t feel like either broadly formulaic or like they are spinning out of Irresistible and Grotesque. Johennessen’s scripts suggest an identity and cosmology for Millennium that feels utterly different from anything else on television. He harks forward to the second season’s embrace of that insanity and energy. Maranatha is also the first time that Millennium broaches the idea of the Antichrist, building off the suggestion of the looming biblical end of days in Force Majeure and the elements of prophecy that have been baked into the show since The Pilot. Episodes like The Judge, Sacrament, Lamentation and Powers, Principalities, Thrones and Dominions have all suggested that supernatural forces are manifesting on the mortal plane for some greater purpose – possibly connected to the end times. Maranatha seems to double-down, making the Christian theology even more overt. According to Hal Lindsay, author of The Late, Great Planet Earth, there will be seven signs signalling the end-time: war, revolution, plague, famine, earthquake, religious deception, and “strange occurrences in space.” The twentieth century has certainly seen no shortage of occurrences that, from a millenarian perspective, fit into these seven sign groups. Political events from the formation of the United Nations and the state of Israel to more recent battles in the Middle East with the two Gulf Wars have been read as signs of the coming of the Antichrist, who it is believed will appear in a time of geopolitical chaos before the second coming of Christ. Religious authors such as Lindsay, Pat Robertson, Salem Kirban, and Larry Burkett have offered themselves as hermeneutic prophets, connecting cryptic passages of apocalyptic literature to contemporary events, and warning believers that the end-time is at hand. Robertson’s New World Order, which sold 500,000 copies on its release and spent weeks on the New York Times best-seller list, was but a part of a commercial spike in sales of prophecy literature, which together with popular sermons and calls to religious hotlines reflected a belief that the first gulf War was a fulfilment of prophetic literature and a sign that the end-time approached. This sense of popular panic is reflected most strongly in Chip Johannessen’s scripts for Force Majeure and Maranatha. Chris Carter and Ted Mann’s scripts use that panic as a stepping stone to tell their own horror stories, but Johannessen is uniquely interested in the panic itself. Most interestingly – and perhaps surprisingly – Maranatha closes on an upbeat note. Then again, the show opens by documenting the Chernobyl disaster; it is hard not to end on a more optimistic note. The closing scene of Maranatha suggests that the existence of the Antichrist may not be so bad; that would imply that there is a religious saviour due to redeem the human race at some point. 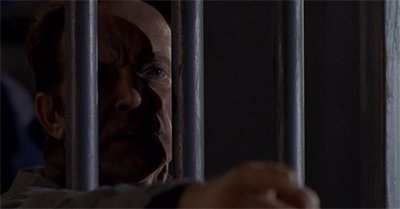 “He is coming,” Frank optimistically greets a member of the church congregation, before walking into bright light white that inverts the usual colour scheme of Chris Carter’s credit. Of course, this is a fairly happy ending. However, it would seem to discount the possibility suggested by Powers, Principalities, Thrones and Dominions. That episode suggested that the forces of heaven were not necessarily defending mankind’s best interests; that the battle being fought existed beyond the human capacity to understand. Powers, Principalities, Thrones and Dominions implied that mankind were on their own when trying to stare down the forces of evil at work in the world. “That’s wormwood, right?” I asked, hoping to finally clarify the botanical question at the heart of the Chernobyl disaster’s putative biblical symbolism. It is often said that the meaning of the Ukrainian word chornobyl is “wormwood”, and the suggestion that that the disaster fulfilled the biblical prophecy of the Wormwood star that augured Armageddon resonated deeply with the fear of nuclear apocalypse. But the botany was actually more complex. Svitlana took a closer look at the plant and shook her head. “No, ‘chornobyl’ is Artemisia vulgaris. ‘Wormwood’ is Artemisia absinthium. The Ukrainian common name is polyn,” she said, handing me a leaf from different plant that looked much like A. vulgaris, except it was covered with fine silky hairs that gave it a whitish tinge. It is a small error, one that is easy enough to forgive. After all, if The X-Files can engage in its own highly questionable science, Millennium might be excused for some mistakes in the realm of biblical prophecy. After all, it serves as an interesting jumping-off point for an interesting plot. It is worth wondering about the use of Chernobyl as a background event in Maranatha, suggesting that the event was actually part of some sinister conspiracy. After all, it was a real-world tragedy that caused untold damage to an entire generation. It seems quite insensitive for Millennium to tie that into its own supernatural mythology. After all, when The X-Files wanted to riff on the theories around the real-life TWA Flight 800, Tempus Fugit and Max had the decency to invent their own aeroplane crash. Had the show run a few seasons longer, would Millennium have used September 11th in the same way? Certainly, The X-Files seemed to falter in the face of that real-life horror. There is something possibly exploitative about using a real-life event in this manner. Then again, Maranatha is not even the first time that Ten Thirteen has used Chernobyl as background material for an episode. The creation of “Flukeman”, the iconic monster from The Host, was traced back to the disaster. As insensitive as it may be, it arguably makes sense that two fairly significant episodes of The X-Files and Millennium can trace their monsters back to the Chernobyl disaster. Mikhail Gorbachev has argued that the destruction of Chernobyl led directly to the collapse of the Soviet Union. As such, it effectively created the status quo for both television shows. Given that The X-Files and Millennium are both explorations of American life in the wake of the Cold War, it makes sense that they would be interested in the disaster. Still, even allowing for the potentially problematic use of Chernobyl, Maranatha is a wonderful piece of work. It is a fitting penultimate episode of the first season, and suitable conclusion to Chip Johannessen’s work on this season of television. It hints at a strange and wonderful future for Millennium. Strange and wonderful and bright. At least creatively. Just finished season 1 and I must say Maranatha serves as a superior finale. As I was watching Paper Dove, I wondered whether it would have been better to focus on Frank’s work on the Hunziger case and move it up a slot. The way the first two acts were filmed, it was almost like the Woodsman’s current murder was really a flashback. It would have made for a more compelling episode, and a nice compliment to Covenant; have Frank clear Malcom of the charge against him while solving a four year old murder. Also, on my viewing, Ted Mann effectively ended his “legion” arc, that he himself began in “The Judge,” with PPTD. In it, Sammael “stops” or “prevents” Legion from doing more harm. (I realize a lot of fans would disagree with that interpretation). With nowhere else to go, he crams too much into Paper Dove trying to over-compensate. Trying to do too many things, it tacked on that cliffhanger and the conversation with the FBI agents about evil and the Group. Maranatha better accomplishes the same thing with Yura’s line about “old superstitions coming back. Priests and tea-readers preying on people’s fears better than the communists ever did…everything must be magic. I mean, it’s not enough that a man commits these murders — no, it must be `Yaponchik walks the Earth.’ Ooo. True evil.” That is a reasonable perspective for the show to take at this juncture. Carter’s original intent was to focus on human evil e.g., Donnie Pfaster. But with Lamentation he goes all in on there being some larger evil at work. So Yura’s comment could be taken as a criticism of the show’s mission statement at this point. Morgan&Wong would level a similar criticism in season 2, making the manipulation of people with those fears and superstitions a major plot point. Marantha seems much more indicative of what the show would become than Paper Dove. That said, I really do like Paper Dove because it feels very much like a bookend to the first season. I also think it’s actually a really good serial killer story, which I think the first season struggled with from time to time. Now that I’ve finished season 1 I guess I see a clear breaking point to season 2, even from Chip Johanessen’s episodes. Force Majeure and Maranatha in particular have a lot in common with episodes like 19:19, for example. But Johanessen’s scripts explicitly emphasized that the protaganists did not buy into the prophecies, whereas the ending of 19:19 implies that there might be some truth to the prophecy. You have a point about Paper Dove being a decent straightforward serial killer story, but the show had really stopped telling those with Loin Like a Hunting Flame.